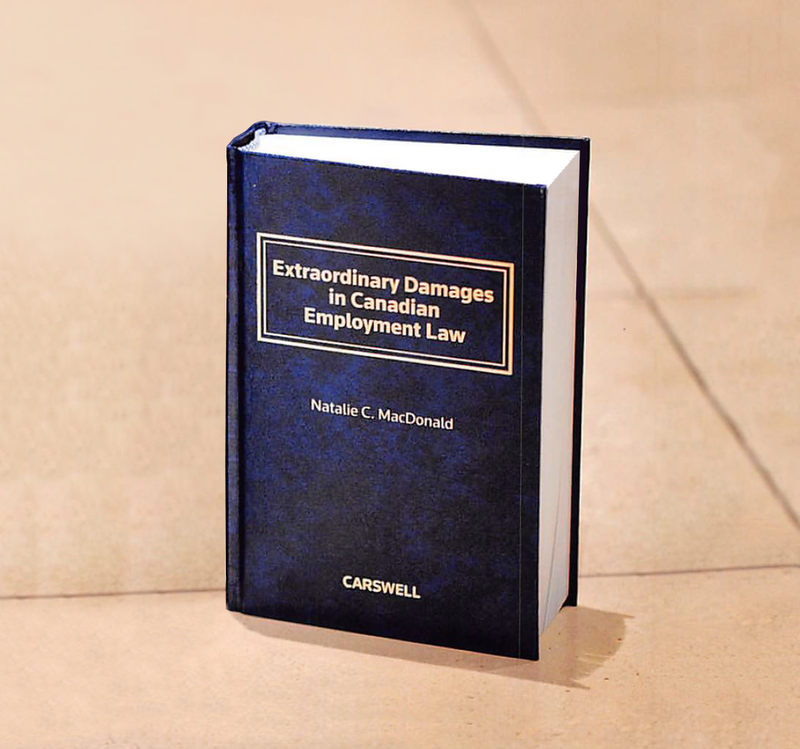 Extraordinary Damages in Canadian Employment Law (Carswell, 2010) is the only textbook of its kind and details the multitude of categories of extraordinary damage awards available in employment law cases. This critically acclaimed book by both the courts and the bar examines the different and emerging trends of damages being developed in civil courts across Canada. The book contains a thorough and comprehensive review of an enormous body of law including moral damages and the meaning of “bad faith” in wrongful dismissal situations, damages for mental distress, damages from actions based in tort, damages for humiliation, embarrassment and loss of self-esteem, damages on the basis of personal injury law, punitive damages, as well as damages under both provincial and federal human rights legislation, among many other topics. The book also provides sample pleadings, as well as an analysis of the meaning of these damages. Natalie is currently working on an updated version, which will be released soon.